I want to begin with joy and enthusiasm. But I always feel ambivalent when giving students advice about grad school in English. The thing is, I don’t know if you should go. I don’t want to push you in the wrong direction. You might benefit from it as much as I have. In my eight years earning an MA and a PhD, I learned so much. It was profound, formative, transformative. I cherish the kind of person that the experience helped me to become. I am joyful about the kind of work (and job) I am now able to do, reading, writing, thinking, teaching. I wouldn’t give it back. I would love the same for you, especially if it’s what you really want. At the same time, you might run smack into certain negative realities about grad school in English. Grad school cost me a lot—physically, emotionally, relationally. And I’m one of the “lucky” ones who finished in only eight years, was fully funded along the way, and now has a good, full-time job as an English professor. But others have had it much worse. I don’t want to push you into any of that blind. So what to do? You have to decide for yourself. But here’s my 2 cents. 1. Start thinking about grad school way earlier than you think you should. In the best case scenario, you will start thinking about grad school in your first or second year of college (sooner than later if you enter college already having lots of college credit from dual enrollment or AP courses); make a decision on whether to move forward with pursuing grad school by the end of the second year; start researching schools, taking the GRE, and preparing your application materials in your third year; and actually apply by November or December (depending on the schools’ deadlines) in the middle of your fourth year. If you wait until you become a college senior to start thinking about grad school, you will have to rush through the process. If you wait until your last semester of college or even until graduation to start thinking about it, then you will simply have to wait until the next year to apply. I don’t know if taking a year (or even years) off from schooling after college counts against you when you apply for grad school. An academic gap probably doesn’t count in your favor, though that may depend on what schools you apply to, with more elite schools more likely to favor a more direct college-to-grad-school transition. Also, taking time off may make getting letters of recommendation from professors a bit more difficult, if you’ve not seen them for a while by the time you need the letters. At the same time, gaining life experience between college and grad school may prove invaluable in the long run, especially if you do not yet know what you want. If it seems overwhelming to start thinking about grad school so early, keep in mind that you don’t need to fully and finally decide whether to go or not until it’s actually time to sign up for grad classes. Starting the thinking process early doesn’t mean you’ve made up your mind to go. It means you’ve made up your mind to take the necessary steps to keep that door open as option. 2. Know what the degree and career options are. Grad school in English includes a range of types of degrees that can prepare you for a range of types of careers. The “standard” path many people have in mind—getting a PhD (doctorate of philosophy) in literature to become a tenured English professor at a research university or a liberal arts college—is but one of the options. It’s not necessarily the choice for you. Other degrees you can get in English include MA (master of arts), MFA (master of fine arts), M.Ed. (master of education), and Ed.D. (doctor of education). At most schools, there are two or three grad programs in English. You will pick one to apply to depending on your field of interest: creative writing, rhetoric and composition (also called “writing studies” or another variant), or literature. For writing studies or literature, you might earn an MA and then move on to earn a PhD (or, in a few cases, enroll directly into a longer PhD program designed to bypass the MA). The MA is sufficient to teach in college but not usually in full-time positions. There are exceptions, but you shouldn’t bank on them. The MA is not considered a “terminal” or final degree, though you can certainly finish your education with one if you like and go on to do many wonderful things in life other than teaching college. Creative writing usually means an MFA program, a terminal degree. Generally you specialize in either poetry or fiction or, less often, creative nonfiction. You would choose the MFA option if you want to primarily be a writer. You can also teach college with this. However, to be a creative writing professor, you would likely need this degree plus some impressive publications, including a book. You can also get a M.Ed. or Ed.D. in English Education. These are mostly intended for people who want to teach or study the teaching of English, particularly at the secondary level. They are housed in education rather than English departments. You can technically teach education (including English education) classes at the college level with either degree. But that’s becoming less common, as colleges have preference for the PhD, which tends to emphasize research over practice and is therefore (rightly or wrongly) considered more rigorous. To be thorough, I will mention that there are also options in grad school, not usually in English departments but possibly of interest to you if you’re interested in English, in comparative literature, classics, and linguistics. I can’t advise you on these, other than to mention that they exist. None of these options are better or worse, just better or worse suited to specific aims and careers. The traditional image of an “English professor” is someone who is hired full time at a college or university, given an office and benefits, and put on the “tenure track.” To do this, you get a PhD (almost always mandatory), get hired, and begin as an “Assistant Professor.” This title is a bit of a misnomer since you are your own professor, not the assistant to anyone. After a period of usually five years, you apply for tenure. A committee of faculty evaluates your work (depending on the school, you may be expected to have published a scholarly book or more in that time) and decides whether you should be granted tenure. If all goes well, you are granted tenure, appointed to the rank of “Associate Professor,” and spend your career (even the rest of your life if you want to) teaching a couple classes a semester, doing research, writing articles and books, and serving on committees. You will teach courses in your field of specialization. You will teach English majors and perhaps even grad students. If you studied rhetoric and composition, you might serve as a WPA (Writing Program Administrator), directing a writing program in addition to being a professor. Along the way, perhaps five or ten years later, you may apply to be promoted to “Full Professor” (or just “Professor”) through a similar process, with even more impressive accomplishments required. At that stage, you are a senior level scholar. As you can see, being an adjunct is a very difficult career. Thankfully, there is a growing movement to address these problems. Some schools have ameliorated them somewhat by creating full-time Lecturer or Instructor positions. These are academically considered at the same level or rank as an adjunct, and still usually involve teaching a heavy load of first-year writing, but may include office space, benefits, multiple-year contracts, some limited options for promotion, and a livable, though not extravagant, salary. These are humane alternatives to the more typical adjunct situation and can be worthwhile, livable careers. 3. Know what the job market realities are. So if you’ve been waiting for the other shoe to drop, here it is. Here’s the bad news. Those tenure-track jobs that represent the traditional image of an English professor? Those are drying up. More and more schools are cutting positions, more and more faculty are delaying retirement, and more and more extremely well-qualified people are applying for a few openings each year. The competition for those few slots is very tough—and not at all fair. You might be thinking, “Oh, well, the job market’s bad everywhere. No big deal. If I do really well, I’ll rise to the top.” Or else you might be thinking, “Well shucks. I guess I can’t teach college. I shouldn’t go to grad school.” Not so fast. You can still get a job teaching college if you do well. But even if you do really well, it might not be the kind of job you want. But it might be. And even if it isn’t, there might be other reasons to go to grad school anyway (e.g. to learn). But only under certain conditions (e.g. if you can without accumulating debt). One bright spot is that if you get a degree in rhetoric and composition, the job market is said to be significantly better, particularly if you would like to direct a writing program. Rhetoric and composition (including technical or professional writing) has more openings than any other field within English. Finally, one more last thing that’s horrible and unfair. Experience can count against you! If you can’t get the kind of job you want, you might adjunct while you keep looking. Logically, this should help you build your resume. But instead, it can signal to those hiring for better jobs that you weren’t “chosen.” And that can counts against you. And the longer you adjunct, the harder it can becomes to get a full-time position. I don’t endorse this elitist, hierarchical system. I just want you to know about it. One disadvantage that prevents many students from letting all this sink in is that they usually hear these things from their own professors, who are, of course, people who got to become professors. It may be tempting to look across the desk and think, “Well, if they did it, I can do it. I’m at least as ‘good’ (smart, hardworking, committed, passionate) as them.” And you may be. But how good you are is just one of many factors. Factors outside your control—academic hierarchy, dumb luck, whatever—are also at play. Though it might look like one from the outside (and strives to be one in some ways), these upper levels of higher education aren’t exactly a meritocracy. 4. Decide based on what you really want. Why do you really want to go to grad school? Do you want to teach? Read and write? Hang out with like-minded people? Have deep conversations? Live a life of books and the mind? Be challenged? Grow as a person? Earn credentials to make a living? Develop your cultural capital? Find a life partner? Learn what you’re made of, what your limits are? Do you want to become a professionally-trained scholar in some sub-field of English? By asking yourself what you really want, you can better decide whether grad school is for you or whether you can get what you want some other, perhaps better, way. Yes, grad school can provide all of these things. But only the last one—becoming a professionally-trained scholar in some sub-field of English—is exclusive to grad school in English. All of the other elements can also be achieved in other ways. Then again, if you do want them all, there might not be a much better way than grad school in English. 5. Be prepared to “walk away” at the end without regret. Know this: you could spend a decade in grad school, do a good job along the way, and still not get to become a full-time English professor. If this possibility is not something you could accept, then don’t go down this path. Only go to grad school in English with the hope of becoming a professor if you could get to the end of your studies, be glad that you went for the experience and all that you learned and the people you met, and then walk away without regret, happy even, to find another career. You might not have to walk away. After all, many people do get to become full-time English professors. But you have to be okay with the very real possibility of walking away. If you cannot accept that, grad school might still be a good option if you decide to move to another field after spending just two years for a MA degree. A much lower stakes investment, the MA degree is still rich in personal, intellectual, and professional benefits. One good thing is that you don’t have to decide whether to continue to a PhD until after you finish the MA, although, like with the decision to go to grad school at all, you should think ahead and take steps to keep that open as an option. 6. If you decide to go for it, really go for it. Do everything “right” that you can. College GPA. Don’t fool around in college. You really want stellar grades, as close to 4.0 as you can get. Undergraduate professors. Develop strong professional relationships with several undergraduate English professors. Don’t worry about hiding your weaknesses. Instead, take risks and let them see you grow. Let them see you perform strongly on a regular basis. Be professional. Turn work in on time. Go above and beyond. Your undergraduate professors are vital for you getting into grad school. They can advise you through the process, give you the inside scoop on certain schools, look over your application materials, and, perhaps most importantly of all, write your letters of recommendation. For letters of recommendation, it will help to have letters from people further along in their careers (e.g. department chairs, full professors, well-published scholars, etc.). Know your programs. Research the schools you’re applying to. Know about faculty in the programs. Know that they specialize in areas you’re interested in (this part may be more important for PhD than MA, which are more general than specialized). Mention specific aspects of how you and the school will fit well together in your and their scholarly projects. Writing sample. This is the crown of your application materials. It’s usually a 20-25 page researched and argued essay. It can be developed from a course term paper, a capstone project, an undergraduate thesis, etc., or written especially for the occasion. The trick is to get something of the right length and quality by application time, which means you can’t wait until your senior year. Something else. It would be good if you had in your application something that stands out, beyond good grades, good writing samples, and good letters of recommendation, particularly if that something connects directly with your work (i.e. a cool service project, something interdisciplinary, something intercultural, something published or presented, etc.). Cover letter. Research how to write this. Find models. Decide how many schools to apply to. I don’t know how to advise you on this. I’ve heard of people applying to up to a dozen. That seems excessive to me. It might be better to apply to fewer so you can focus and make each application as high quality as you can (and pay fewer applications fees). 7. If you don’t get a good offer, reconsider. You want to get accepted into a strong, recognized (ranked) program. And you want to be offered a teaching or research assistantship (often referred to as a “TA”) which will give you full or nearly full funding (i.e. you don’t pay tuition and you do get a small stipend for living expenses) in exchange for teaching composition classes for the university or, less commonly, helping a professor with research. Better yet, you want to be offered a fellowship which will give you funding just because of how awesome you are, with little or few responsibilities attached. What getting one of these offers tells you is that you’ve been chosen. The school wants you. The school is willing to pay you to be their student. What if you don’t get this sort of offer? Two things to consider. First, the money. The single biggest thing that people who have been burned by their grad school experience will warn you about is debt. While college loans often make sense for undergrad, grad school is a different story. Do not—let me repeat, do not—go into debt to go to grad school in English (unless it is a manageable amount and you have a concrete, viable plan to pay it off, such as a job that you already have that will give you a raise when you graduate). Second, the hierarchy. If you are not chosen for funding and other students are, that says something about your chances later on for advancing in your career toward being an English professor. I hate saying this. I wish it weren’t true. I hope I’m wrong and someone who knows better than me will write and tell me so. But what not getting funding means is that at the very start of your career you’ve already not made the cut (or one of the cuts). You’ve competed against other students and they were selected instead of you, however rightly or wrongly. If you go forward, you will compete against them again, except this time their CV will be even shinier compared to yours. This is ugly. I don’t value this sort of competition. I don’t support it. But I also could not support sending a student into debt to later compete for jobs they will therefore be even less likely to get. You could still go. And you can have your reasons. (For instance, if you don’t intend to try to become a professor and if have some other way of paying for grad school, then a “good” offer matters much less.) And you could be right and come out ahead. But if you come out behind and regret it all, you can’t say I didn’t tell you. 8. Don’t listen to me. So there. I’ve given you some advice and feel ambivalent. Even though I’ve said a lot here, I feel I’ve left too much out. The information isn’t the whole picture. There’s meaning beyond and behind the information. For one, I’m afraid I’ve made the whole situation look more bolted closed than it may be. 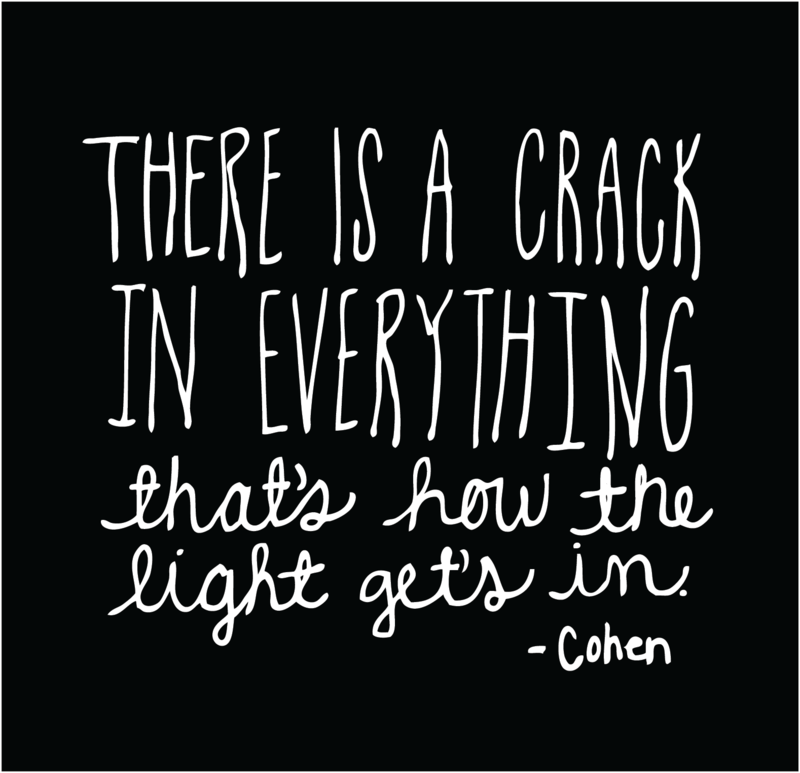 After all, there are cracks in everything. You can start down the path and then change your mind later. Just because you go to grad school doesn’t mean you’re committed to following all the way through. Also, you can decline the path for now but then change your mind later. Even though going to grad school directly after college may offer some advantages, plenty of people don’t decide to go until later in life. Also, I’m afraid I’ve not said enough about how meaningful, how rewarding, how worthwhile it can be to go to grad school in English, how many things you can do other than try to be a professor with grad degrees in English, how it’s not implausible that you may get to become a professor after all, even though there are obstacles. If you have a yearning for grad school, don’t let me put it out so easily. Of course, if you don’t go to grad school in English, you will have to find something else to do. All fields offer their own unique obstacles. If you choose something else, make sure to find someone else who can give you the kind of advice I’m giving here about that field. (Also see my post: “Want a Job with that English Degree?”) Indeed, in case you are reading this but thinking about going to grad school in a different field than English, I want to stress that much of what I am saying—particularly about the career options and job market—may vary drastically in other fields. Many of my comments here are very much specifically geared toward grad school in English. Finally, what do I know? I only chose one option, and I only went through this journey once. That gives me a very limited perspective. You need to learn more than I can tell you. Do the research to become something of an expert in deciding/applying/going to grad school. Think of it as warm up for the research you’ll be asked to do in grad school. Start with reading the articles I’ve linked to in the introduction above. Ask other people for advice too. Talk to people who went and people who didn’t. Talk to people who things went well for and to people who things went badly for. Talk to people who know you well. Explore other possibilities. Ponder. Mediate. Pray. Make pro-and-con lists. Flip a coin. Imagine your future life one way. Then imagine it another. Then make the best decision you can. In the end, no one can tell the future. No matter what you decide, you will face challenges and you will encounter opportunities to have a deeply meaningful life and contribute to a better world. Thanks to Taylor Lyon, Cameron Hunt McNabb, Lizz Angello, Michelle McMullin, and Heather Fox for feedback that has improved this post. This entry was posted in Contemporary, Higher Education and tagged Alt-Ac, Careers, English, Grad School, Professor. Bookmark the permalink. This is tough but fair and you do your students a fantastic service with these thoroughly considered observations. Clearly we cannot steer students into the profession with certainty of their fulfillment, but helping clear-eyed views of the situation is incumbent upon us. I might add that attending to “fit” at a certain kind of institution means as much as anything: I remember one search where we enjoyed applicants from Cornell, Duke and Maryland, but chose a new PhD from Western Michigan because she had the background in the courses we needed to cover in the department. Yes, very good point, William. Thanks for adding it. Fit has been a very important factor in hiring in my department as well. On one hand, that’s really good news for applicants, because it means it’s not all about whether you have the shiniest credentials. On the other hand, it’s another factor you can’t predict when deciding to go to grad school. Thanks, Drew! It looks like I’m in really good company in that list. I wish I had seen his before I decided to pursue a second masters degree. Hi I was wondering if having a BA in Comp lit puts you on a less competitive position. I studied English Literature for 2 years but then switched to Comparative literature as I transferred. Hmm. I wouldn’t imagine that it would make a difference. And, if it did, it seems to me as likely to be a benefit as a liability. But I don’t actually know. Thank you so much for sharing your “real talk” advice. I started out as an English major many years ago and haven’t been able to shake the notion of pursuing an English degree at some point.The problem? I’m a 44 year old registered nurse and I have not found ANY advice on how to transition out of nursing into liberal arts! Because that’s crazy, yes? I suppose I’m lucky to have a BSN and income producing employment that’s given me a broad understanding of human nature. But still. I can’t seem to get rid of this desire. Jennifer, What reason would you want an English degree? Would the idea be to be able to study something you love for personal enjoyment and development? To switch careers? It’s very difficult to become a full-time English professor. But there could be reasons for you to study English other than that. If you decide to, you might combine your nursing experience nursing with your study of English by looking into a program that would allow you to work on what’s called Medical Humanities. Oh I’d like to study literature for personal fulfillment primarily. I often wish I were a better writer just for work related stuff. As a community health nurse involved in preventative care, I get frustrated at the lack of movement towards real change and the minimizing of people into data points. How lucky Vela if I could express myself more persuasively! However, and I feel kind of sheepish copping to this, I’d like to teach community college English classes at some point. Even just part-time/ adjunct would be fine. Ah, who knows. Maybe it’s all just midlife crisis BS floating around. That sounds like a definite possibility, learning to write more effectively and teaching at a community college. For those aims, you might want to look into programs that have an emphasis in Writing Studies (or Rhetoric and Composition) rather than or in addition to Literature. Not “lucky Vela”. Lovely!! That’s what happens typing on an iPhone screen without my glasses.